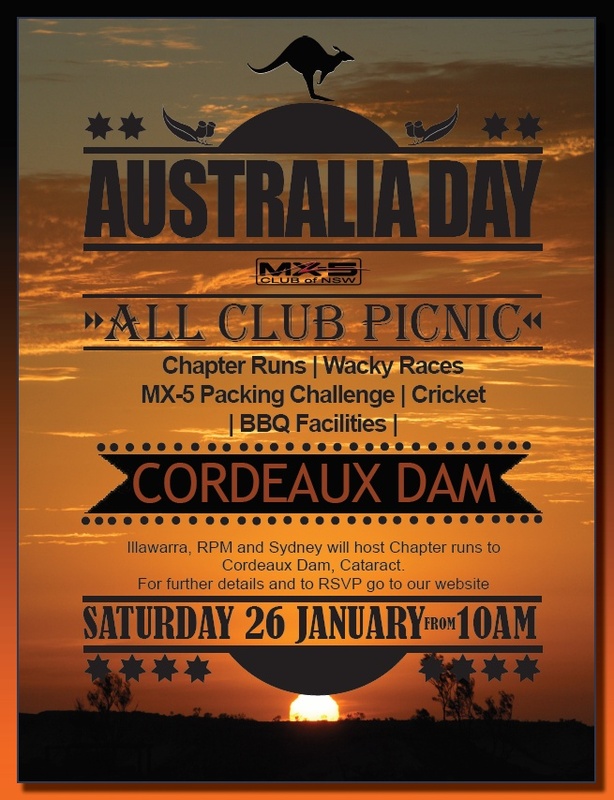 Come and join us on our annual BYO Australia Day Picnic and BBQ. Bring your snags or whatever else you want to burn on the BBQ or pack a picnic. Picnic chairs, blankets, tables, etc are also recommended ... if you can fit them in! Show how bad you are at cricket. Try the sack race or the three-legged race. Downhill fun with our Hot Wheels track. Work off your lunch with a stroll to the dam wall. 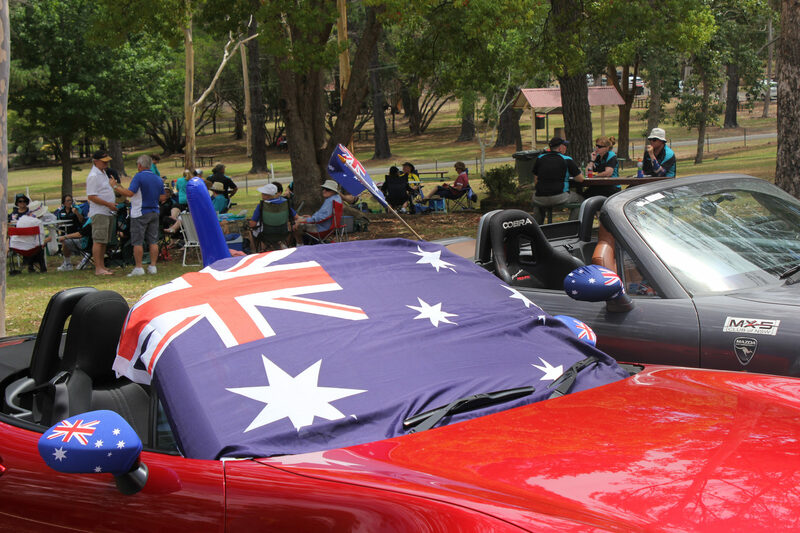 Just come, have fun and celebrate our national day with your MX-5 friends. NOTE: The recreational areas are closed when affected by total fire ban. The event will be cancelled in this case.